As many of you know, I live in the beautiful city of Newcastle upon Tyne in the UK. Since my friend Shivani started blogging about local life over at Cloud In A Teacup and taking me to lots of lovely events, I’ve been on the hunt for crafts-related events – without much luck. Imagine my delight when, back in February, an email from blogger network Joe Blogs popped up in my inbox inviting me to a crafts workshop. Hallelujah! I, along with about 30 North East bloggers, attended #HillarysCrafternoon last Saturday and it was absolutely brilliant. 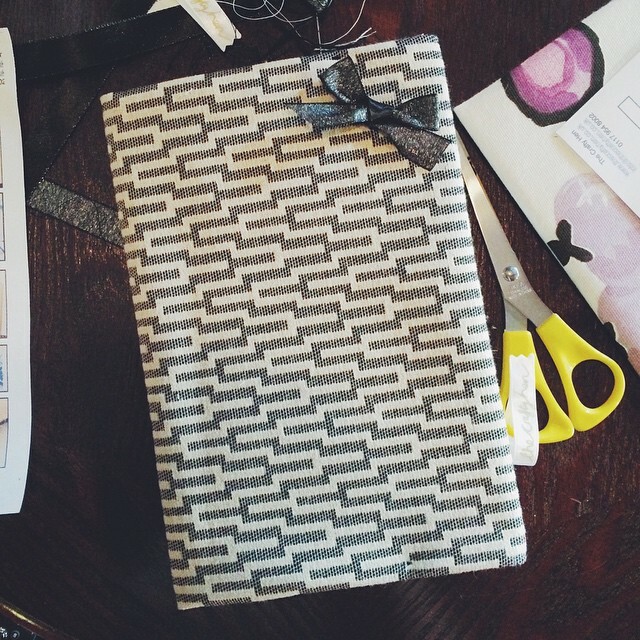 Using beautiful fabrics from Hillary’s new collection (set to launch this month) and with the help of Clare & Hannah from The Crafty Hen, we started by making a notebook cover. My eyes were set on a geometric pattern fabric from the minute I walked into the room, so I obviously picked it as well as a little bit of ribbon. It’s not a Julie notebook unless it has got a bow on it! 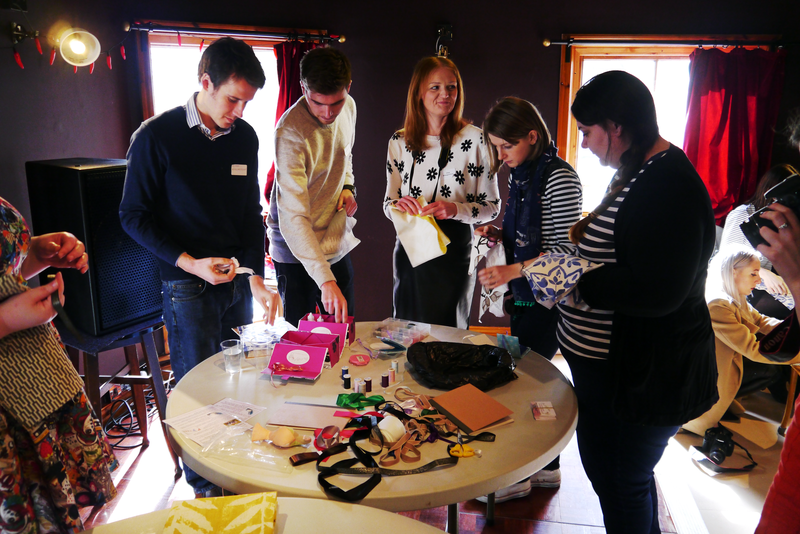 There was a cute selection of embellishments to pick from – everyone got very excited about using the glue gun, because GLUE GUNS ARE SO MUCH FUN! Look at all these pretty notebooks! 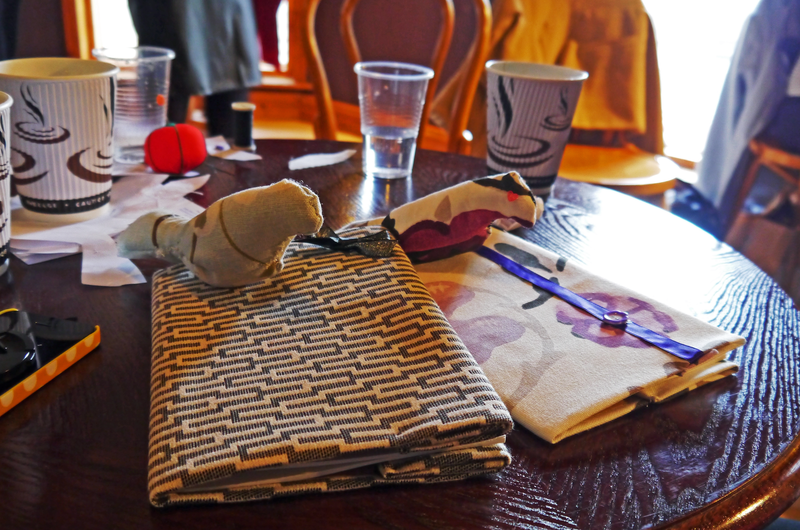 We were then asked to make a 3D bird using more pretty fabric, needle & thread and a little bit of stuffing. It was A LOT more challenging than the notebook cover, but very entertaining. Note to self: definitely need more practice with the running stitch. 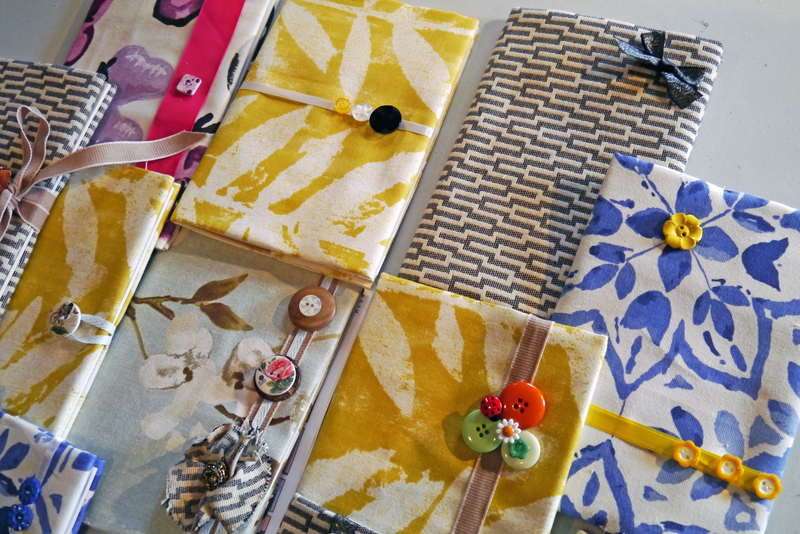 Hillarys Blinds have been running a series of workshops across the country as a way to promote their new range of fabrics – you can read more about their craft roadshow here. They put together a fantastic creative team to ensure that, regardless of your sewing skills, you get all the help you need and most importantly, have fun! 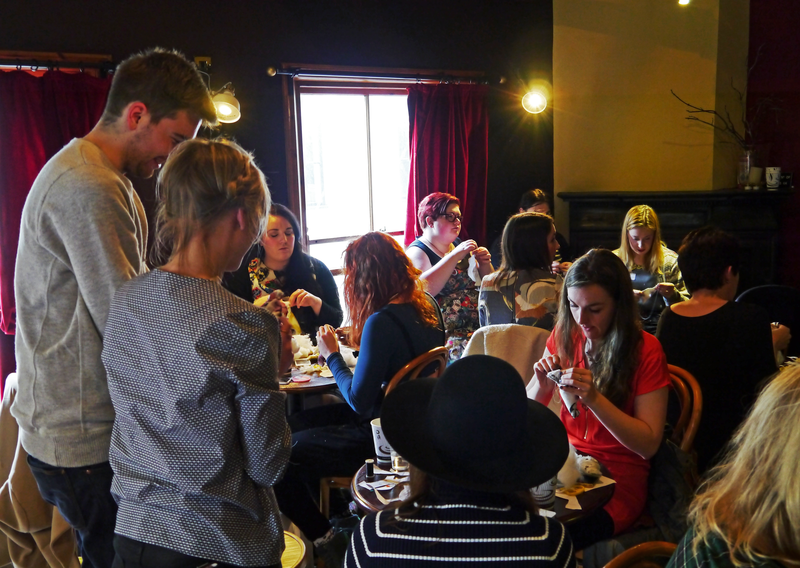 Hillarys Crafternoons are a wonderful way of learning new skills and spending quality time with creative peeps and bloggers. 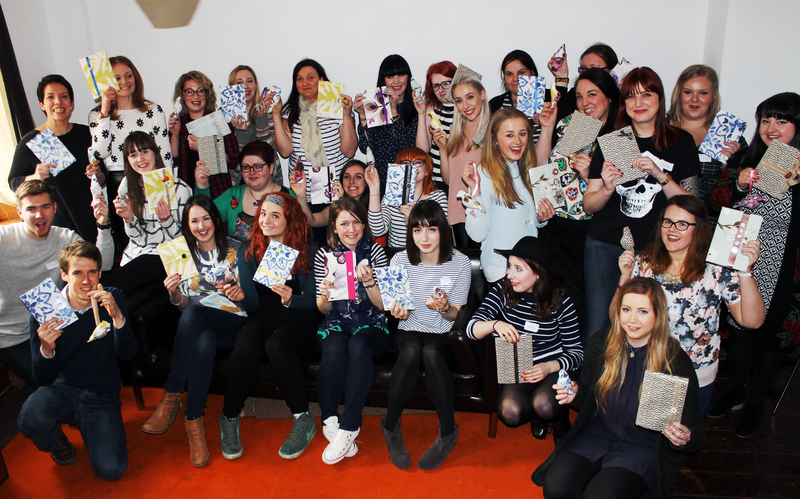 Let’s hope they inspire other companies to come up with more creative blogger events – we want more!